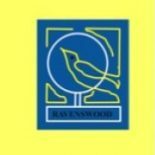 Ravenswood Primary School complies with Education (Additional Support for Learning) (Scotland) Act 2004 amended by the Education (Additional Support for Learning) (Scotland) Act 2009. North Lanarkshire Council’s policy is contained within “Support for Learning Policy into Practice 2”, a copy of which is available in the school. All pupils learn at a different rate and some pupils experience difficulty with a particular area of the curriculum, whilst others perform beyond the expected level for their stage. In all areas of the Curriculum, class teachers try to ensure that each child is working at their own level, with materials for their needs. Classes are therefore organised mainly in groups, with provision made for individuals when pupils require additional help or extension work. Any pupil with severe learning or behavioural problems may be referred to Psychological Services, who provide more specialised help and decide what action is required to allow the child to gain maximum benefit. Parents would always be consulted before any such referral took place. We have supported children with sensory impairment, moderate learning difficulties and English as an additional language. Looked After Children i.e. children who are cared for directly or whose care is supervised by the local authority are deemed to have Additional Support Needs unless assessment determines otherwise. Through a process of staged intervention and, where appropriate in conjunction with other appropriate agencies the school will work to support pupils and their families with the framework of the Additional Support for Learning policies of the authority. support or planning which can be met within the existing classroom setting. from beyond the school/nursery but within education. from multi-agency services outwith education. Additional Support Plans (ASPs) enable staff to plan effectively for children with Additional Support Needs. Some children and young people may require significant support from education and at least one other agency, such as health, social work and/or voluntary agency to help them meet their learning targets. Where this support requires a high level of co-ordination the opening of a Co-ordinated Support Plan (CSP) may be considered. A CSP may be initiated by the school or another agency. Parents and young people can, if they wish, request that a CSP be considered and would be involved in the process. Parents will receive letters from the Education Authority throughout the process of producing a CSP. Parents and young people will be invited to take part in multi agency meetings and their views will be recorded in the plan.